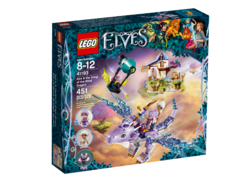 41193 Aira & the Song of the Wind Dragon is an Elves set released on January 1, 2018. Join forces with Aira and Lumia to protect the Wind Dragon! Seek the magic within to help Aira, Lumia and the Guardian Wind Dragon face the shadow bat! 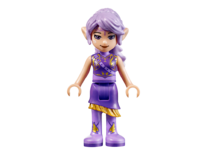 This amazing LEGO® Elves toy for girls and boys features a fully posable and buildable wind dragon with transparent wings and space for 2 mini-doll figures. 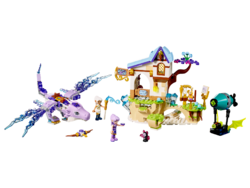 The set also includes a bat airship with shooting function and spinning propeller, and a ‘floating' island music school with opening entrance door, hidden chest and rotating sign. 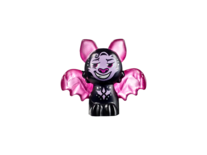 Includes 2 mini-doll figures, plus bat and bird figures. 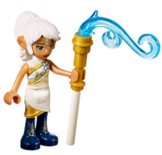 Facts about "41193 Aira & the Song of the Wind Dragon"